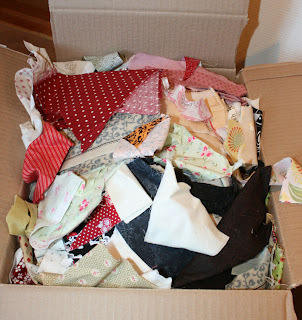 I have had so much fun making great granny blocks! There is just just something about sorting through lots of happy cheerful fabrics that gets me in a good mood! I have no idea how many of these I'll make- but I'll keep going until I have a few more. Tuesday was DH's birthday, (a big one- with a o at the end... and a 5 in front of it....) and Kristine made these super yummy cupcakes- they were delicious!! 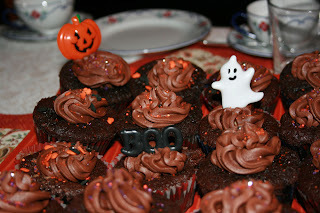 You can find the recipe for the cupcakes here and the frosting here. Today I need to prepare for a block night the shop is hosting on Wednesday, so I have blocks to sew and patterns to write! Love those blocks, so bright! Those cup cakes look delicious, happy birthday to D H . What a great thing to do with your scraps. Very generous with your scraps.....I don't think I could part with mine. I said hi to Gail for you tonight - she is looking forward to seeing you at Houston. Oh they will have fun with those scraps. 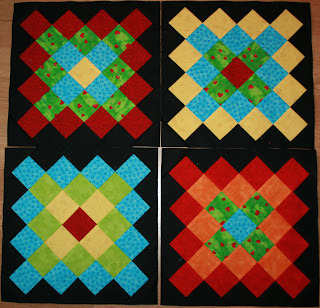 Love your granny blocks they look lovely! Herlige blokker! Gleder meg til å se mer! 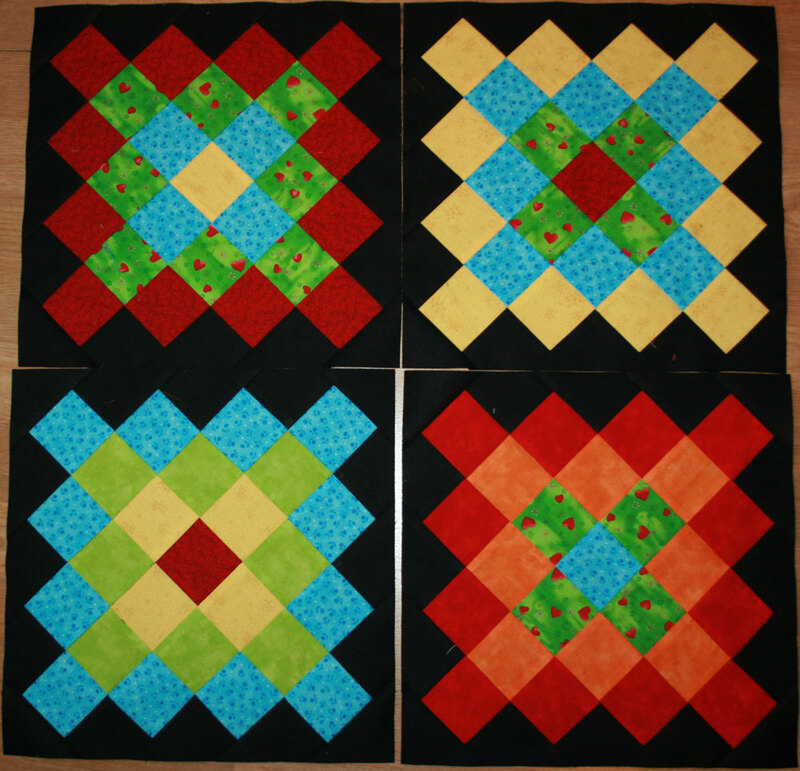 I love your granny blocks framed in black. They are beautiful!